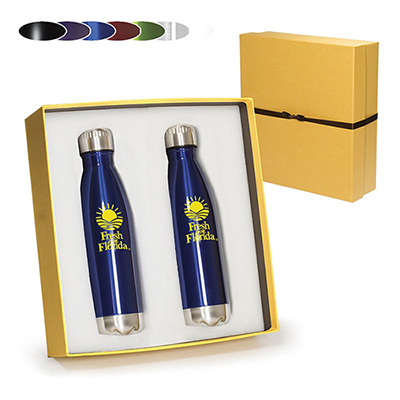 Beautiful metallic colors, easy-to-hold shape and your brand logo displayed with splendor make this a great Promotional Product. 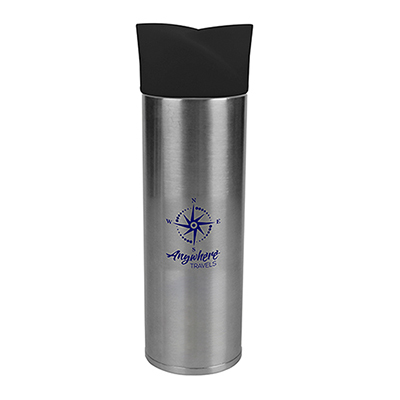 This Personalized 26 oz.Stainless Steel Bottle comes with a carabiner and a twist-off loop-cap and is ideal for ice cubes. 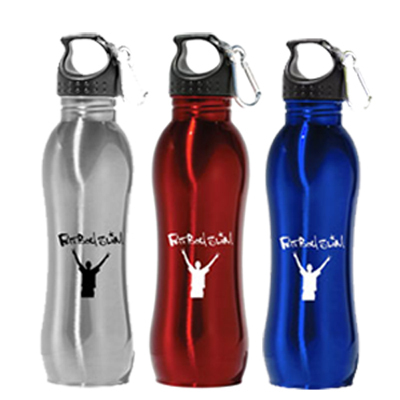 Make the cool choice and get a whole bunch of these Custom Stainless Steel Bottles today! "I got a free donation of these stainless steel bottles recently. On asking the benefactor, they said they placed their orders with you. Convenient bottles. " 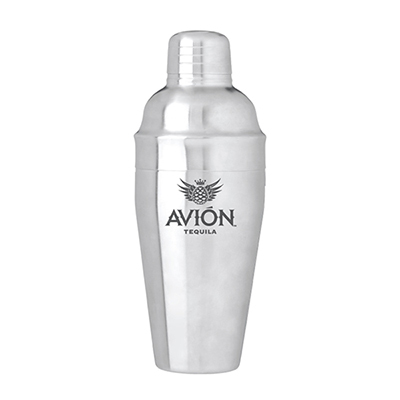 Stainless Steel Bottle for the next sporting event or trade show!